It’s a strange one this. It wasn’t awful by any means but there was definitely something lacking. It’s pretty slow with nothing really happening for at least half the book. It can be summed up as, couple spend ridiculous money moving into stepford-like neighbourhood. Then once it gets going it feels incomplete. For example Doug spends most of the book annoyed with Kat but we have no idea why and what’s more annoying is that she doesn’t ask. She just apologises “for everything”. I don’t know anyone who would say sorry to someone who is angry with them without knowing what they are supposed to have done. Anyway that’s a small point. About 3/4 of the way in there is the “big reveal” but it is written in such a way that it’s like a damp squib and instead oh saying “No Way!!! !” you go “Oh her”. The idea of “openness” is a pretty good one but it’s never really explored. It’s just casually mentioned here and there and no one ever discusses it in full. The really annoying thing is that there is a poisoning but we never find out how the person got or administered the poison. In short this book is okay. The idea is promising but it left a lot to be desired. 3 stars is generous but 2 would’ve been unfair. 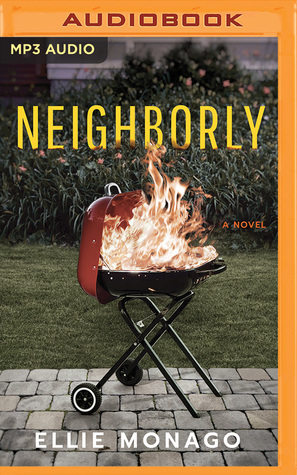 Sign into Goodreads to see if any of your friends have read Neighborly.